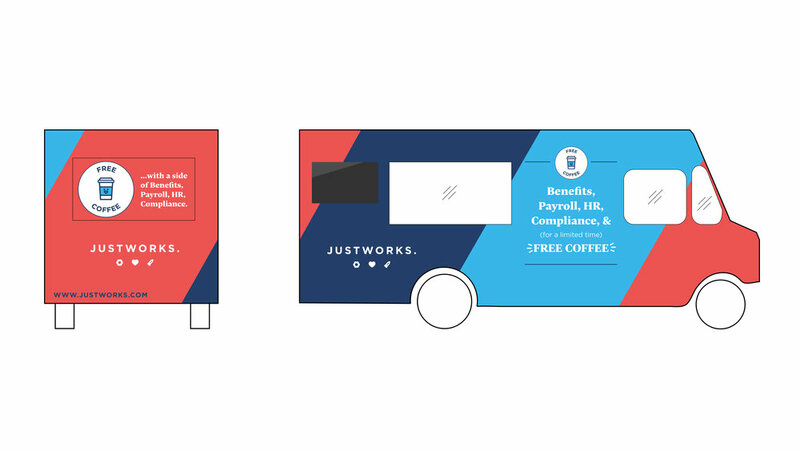 The Justworks Coffee Truck parked outside Philadelphia City Hall as part of an effort to introduce the city to the company's services. I contributed to the experiential design and the visual identity for the vehicle. The project began with a series of elevation studies to determine the scale, color and messaging on all sides of the truck. A group of Philadelphians lined up outside truck to get their morning coffee. The event was covered in the Philadelphia Inquirer.